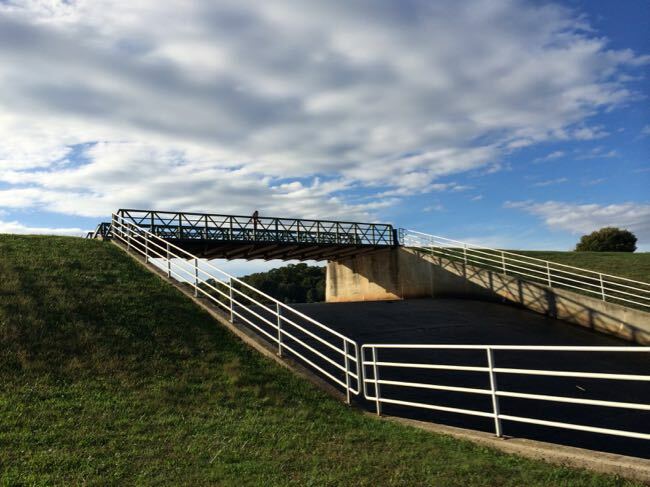 Lake Fairfax Park packs a lot of options for fun—hikes, biking, swimming, boating, picnics, sports, and excellent camping—into it’s 476 acres. 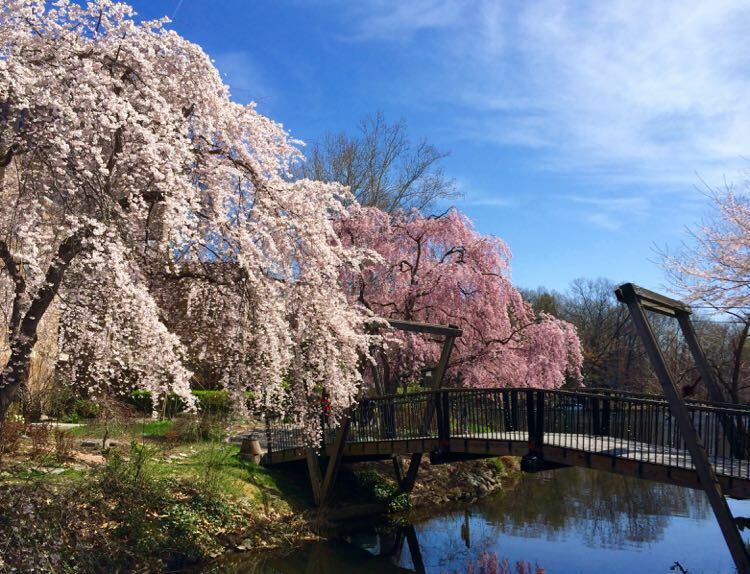 The popular park can be very busy on the weekends, but with so many diverse activities to choose from, most everyone can find a happy spot. 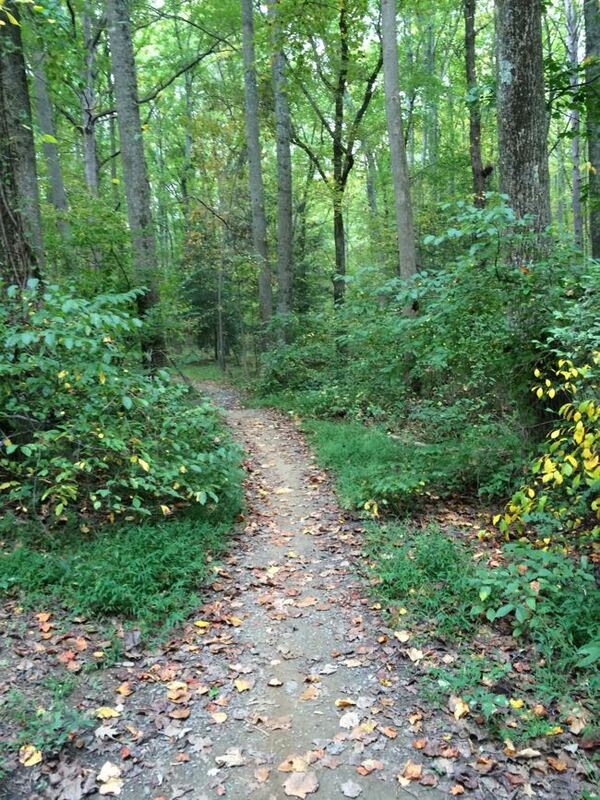 Lake Fairfax Park has an extensive trail network, mostly through wooded areas of the park. The shared trails are popular for hiking, biking, and horseback riding, and trails are frequently being added and improved. 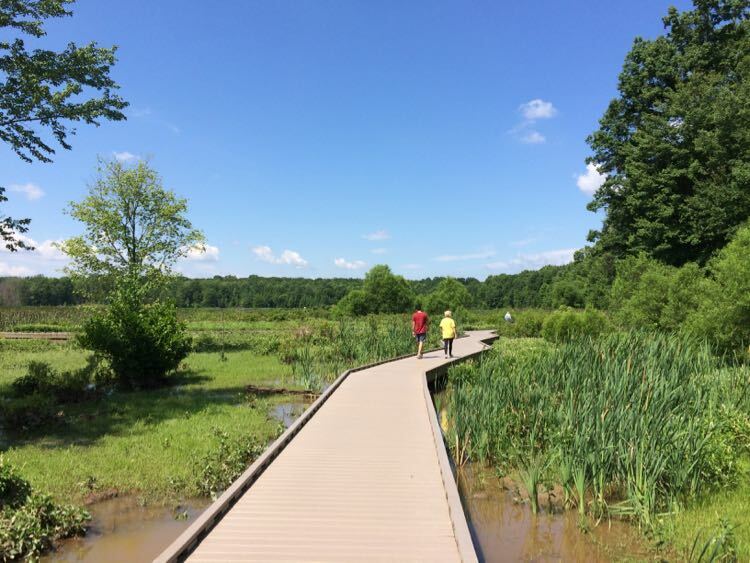 The park’s trail system is easy to reach from the W&OD bike trail, so it’s a nice destination if you want to add single or wide-track biking to your outing. To enter the park from the W&OD, turn on Michael Faraday Court, heading toward the SkateQuest building. In the back corner of the lot you’ll find the trail entering the park. 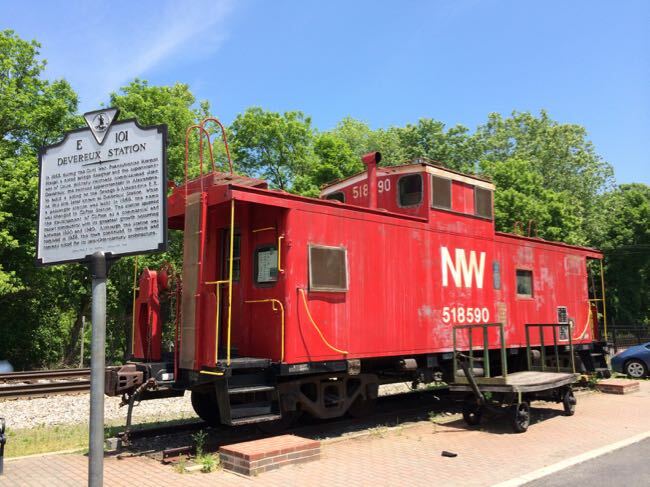 The Rails to River Trail follows about 2.5 miles of wide track through the park, connecting to the Colvin Run Stream Valley, and then the Cross County Trail. There are several junctions where you can turn onto single-track if you want to mix it up. 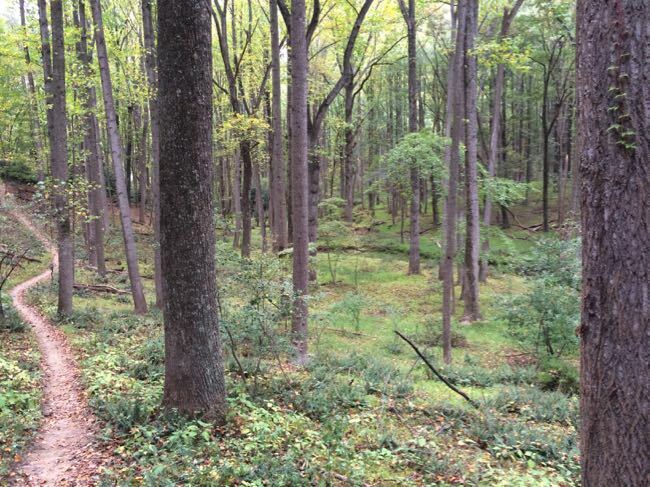 The trail system offers a mostly shady, wooded ride with some steep sections and tight curves. Watch for signs warning of particularly steep and tricky sections, especially if you have young riders along. 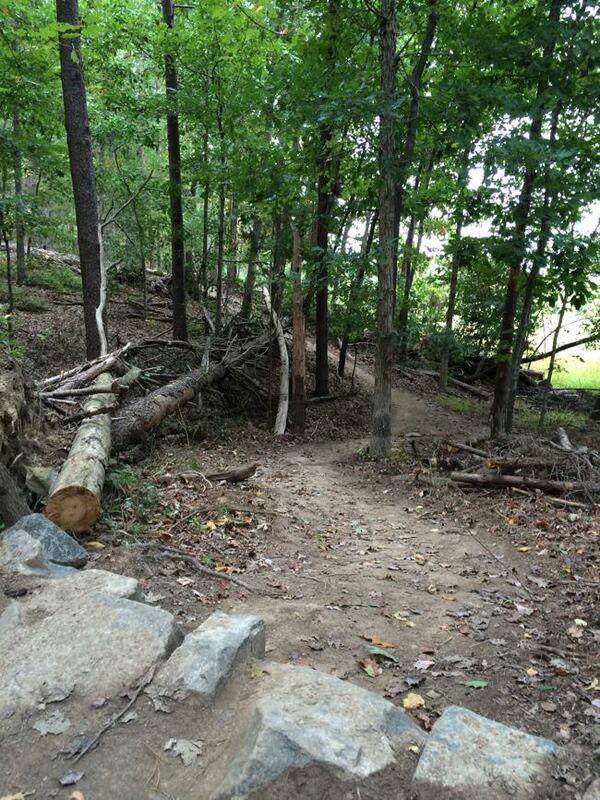 The same trails that are popular with bikers are great for hiking too. You can explore a loop trail around the lake, though it is overgrown and eroded in places, and another loop trail around the campground. 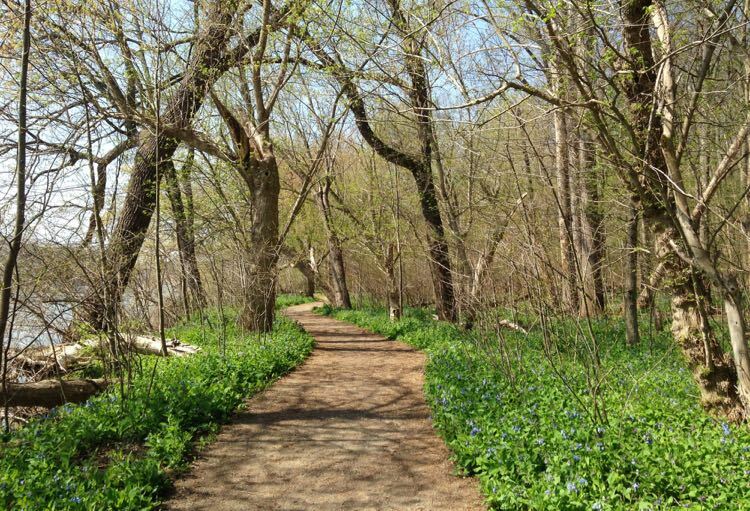 If you are hiking, stay alert and listen for approaching bikes, especially on the steep portions of the Rails to River Trail. If you are biking, pull to the side and let horses pass, and please give hikers a warning as you approach. We can all share the trails with a little effort. What better way to follow a summer hike that a cooling swim? 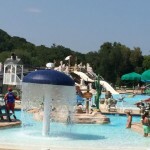 Lake Fairfax Park has it’s own water park—the Water Mine Family Swimmin’ Hole. 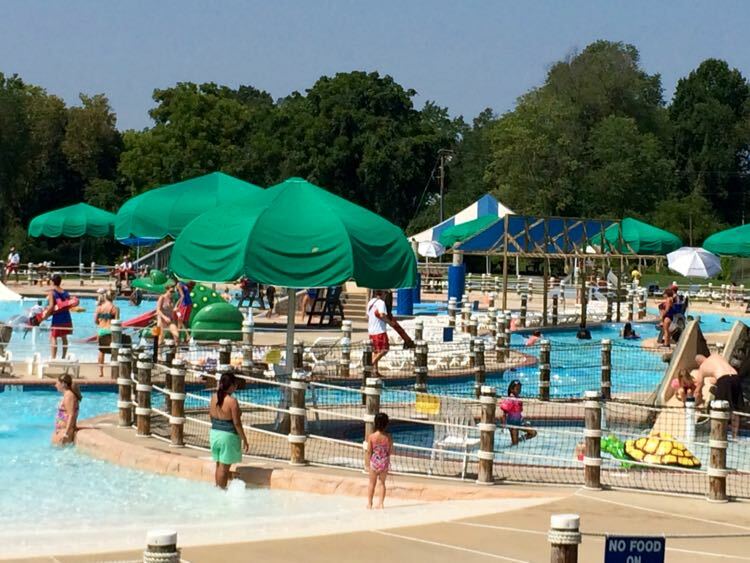 This very popular water park features an acre of slides, flumes, sprays, showers, floatables and interactive play features. One of our favorite parts is Rattlesnake River, which circles the park with a 2.5 mile per hour current that gently nudges tubes along. 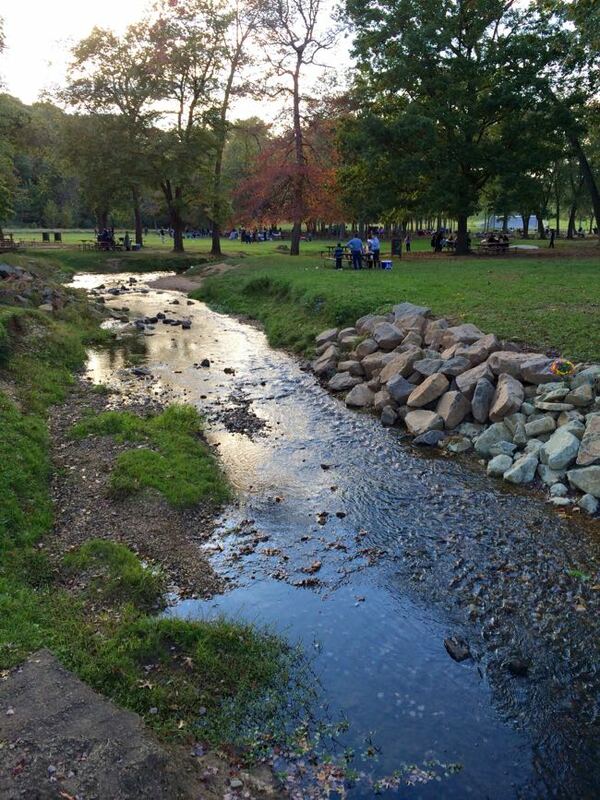 In 2014, Fairfax County Park Authority began an expansion of the Water Mine that is scheduled to open in late summer, 2015. 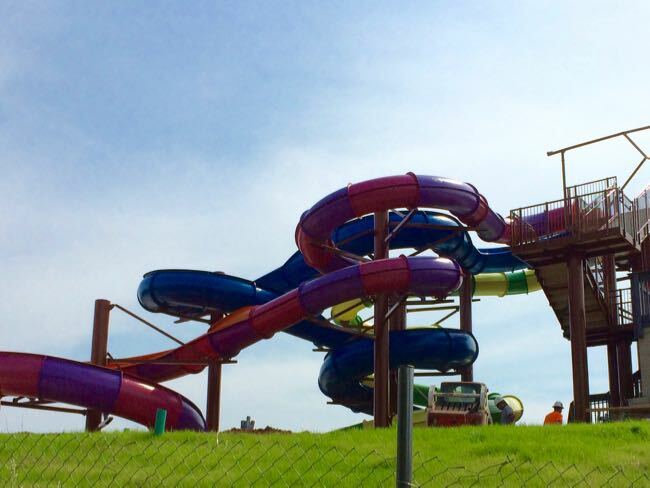 The expanded park include a new tower with three flume tube slides, more tot spray park features, and new facilities. Progress looks good, and the original Swimmin’ Hole remains open during the construction. For 2015, Season Passes are on sale until June 30th. 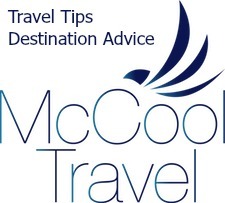 For frequent visitors, the pass provides discounted, quicker entry plus unlimited rides on the carousel and tourboat. 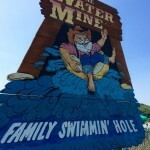 The Water Mine is a very popular spot and lines can get extremely long on a hot summer day. Arrive early or late for the best chance of a speedy entry. Line too long for the water park? 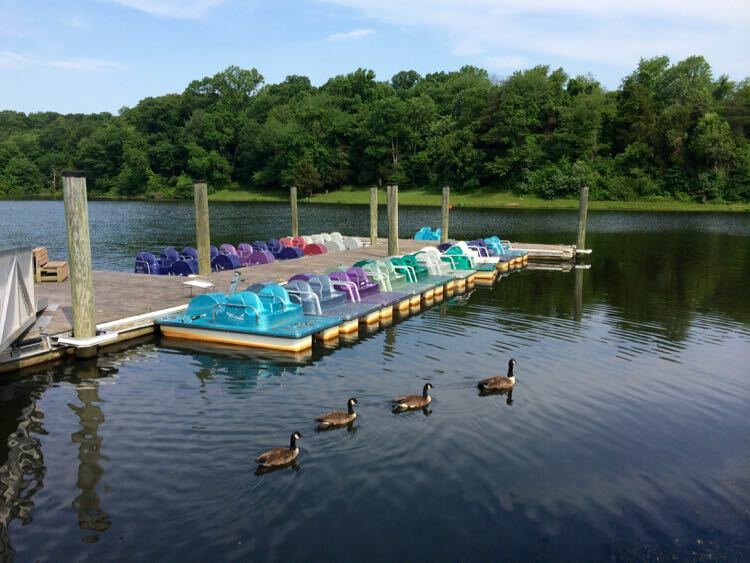 Families can enjoy the lake from the Lake Fairfax Park marina on either a tourboat ride or a paddleboat rental. The lake is small—only 20 acres and even smaller with low water levels—but it’s a fun way to spend a little time. The tourboat rides are only $1.50/$2.00 kids/adults, and you can rent a sparkly paddleboat for $6 per half hour or $10 per hour (weekend rentals are slightly higher). 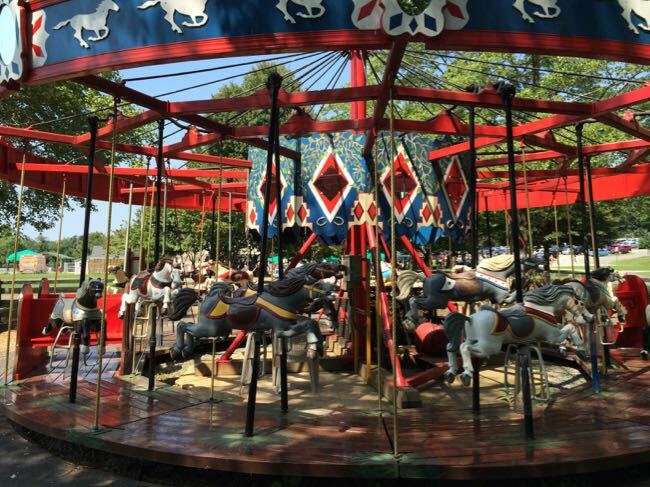 If it’s too hot on the lake, kids can take a ride on the restored, antique carousel. Rides are $2, free for 2 and under. 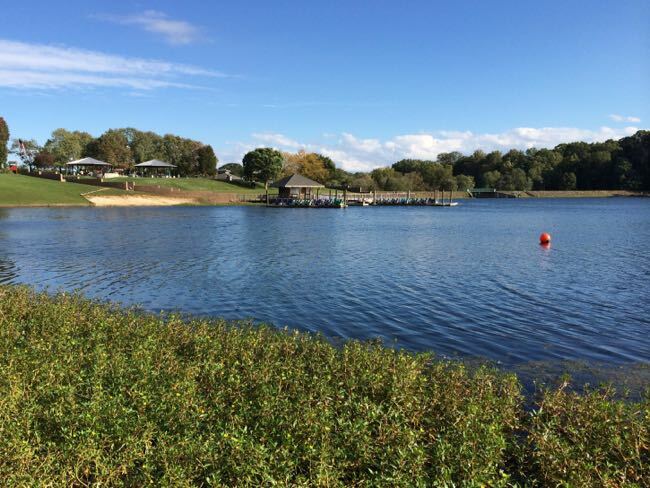 Burke Lake Park is much larger, with better boating and fishing, but Lake Fairfax is also popular for shoreline fishing and it’s stocked with rainbow trout between February and April every year. Spring is the best time to fish at Lake Fairfax, but it’s a nice way to relax during summer too. 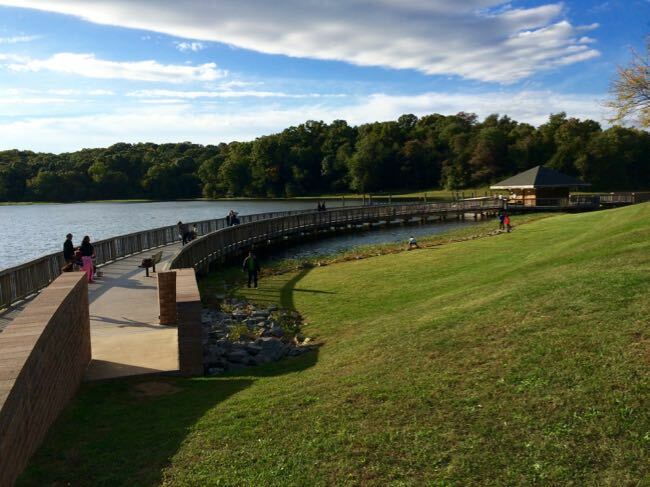 Weekends bring lots of groups and families to Lake Fairfax Park’s picnic areas. When the weekend weather is good, groups send an early arrival to stake out a collection of picnic tables under the trees. Grills are available for cookouts, and you’ll see hammocks slung in the trees, and kids playing in the stream. 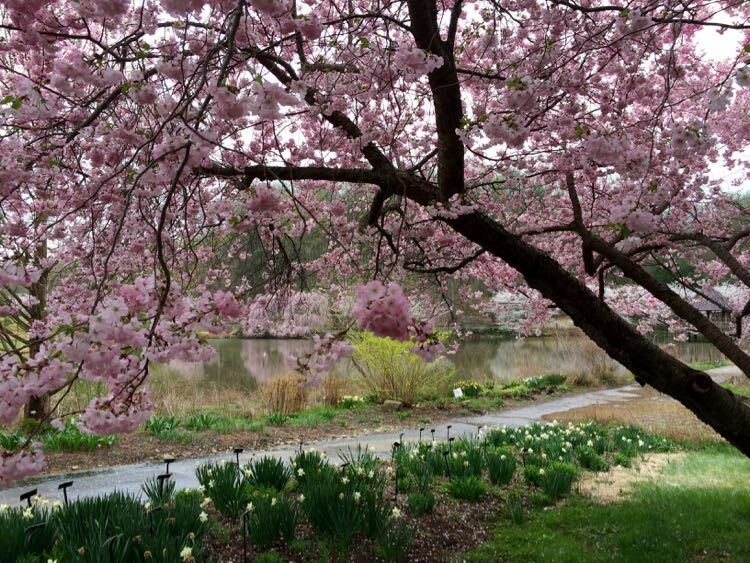 Reserve your picnic area in advance to guarantee your group a spot. You don’t want to get set up only to find someone else has reserved the space. 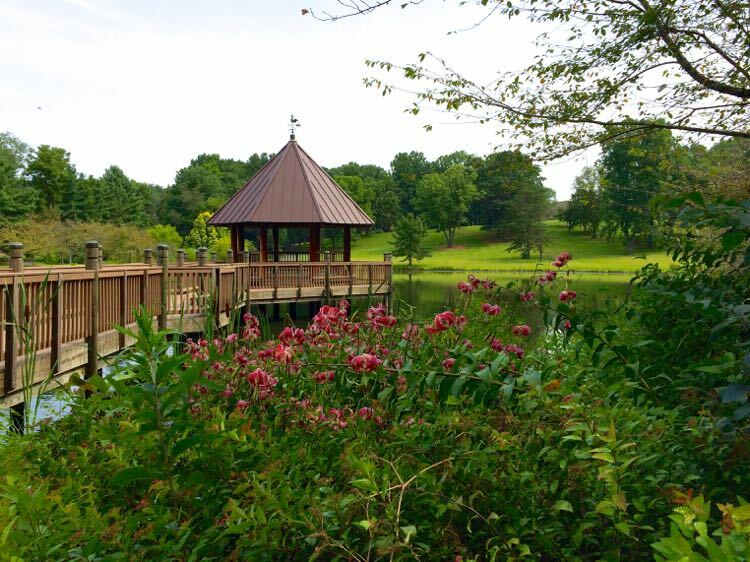 Lake Fairfax Park has extensive athletic facilities including a Skate Park, baseball field, natural surface and turf soccer pitches, and a large cricket field. 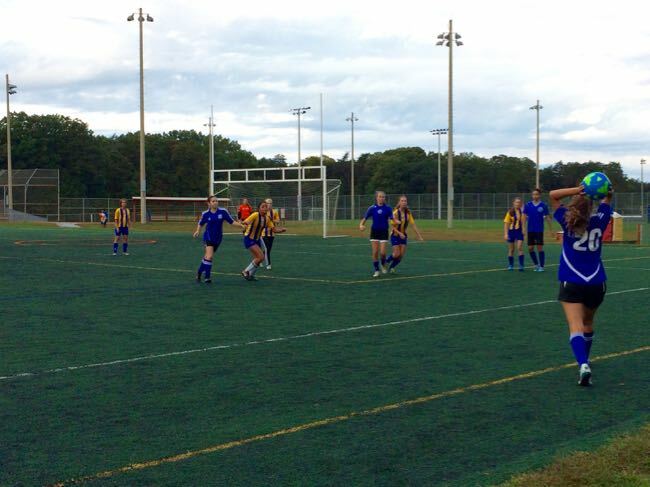 The athletic fields are generally booked for youth and adult teams, but the public is allowed to use empty fields (at least until the next team arrives). The Skate Park is a popular spot, and automatic lights keep it illuminated until 8:15 nightly. Located next to the campground, it’s a fun spot to stop and watch the action when you’re at the park. We also like to stop by the cricket field on Sundays to watch the men in white. 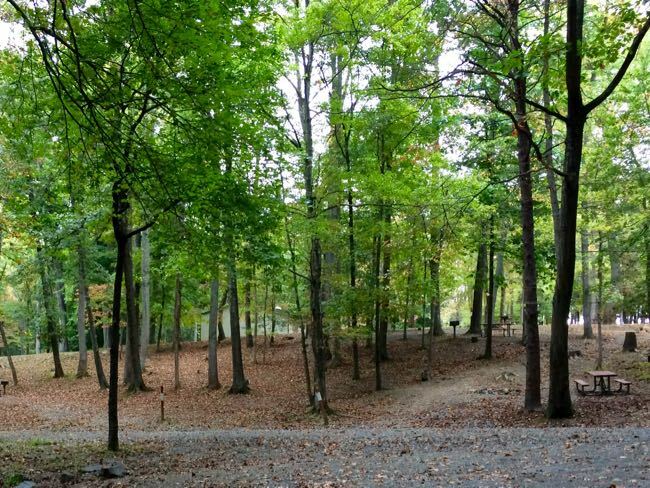 The campground at Lake Fairfax Park gets a 4-star rating on TripAdvisor for good reason. While it’s relatively small, the area is clean, safe, and has a nice selection of open and tree-covered sites. There are tent and RV sites, plus many options for group camp-outs. 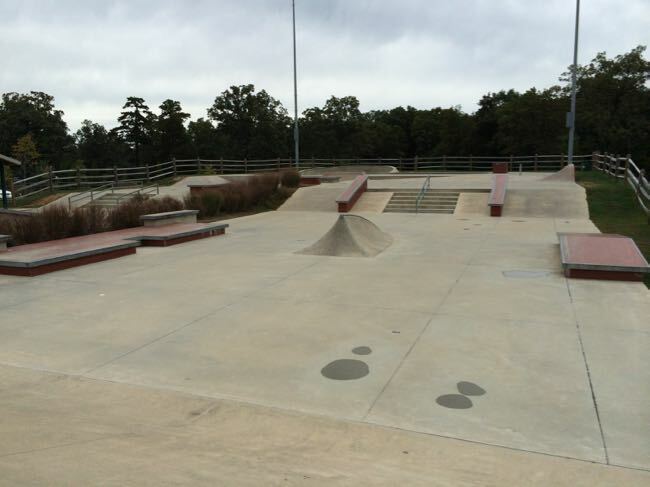 The trails, skate park, athletic fields, and the Water Mine are all easy to access from the campground. 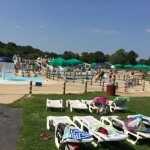 If you live nearby, Lake Fairfax is a nice spot for a staycation family camping weekend. 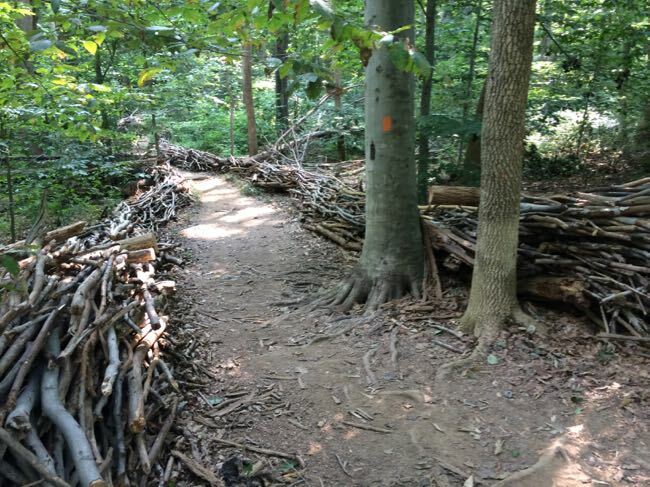 With easy access to the nearby Weihle-Reston East Silverline metro station, it’s also a convenient campground for visitors to DC, and an ideal location for exploring Great Falls Park, Mount Vernon, and all of the other unique places that make Northern Virginia so much fun. 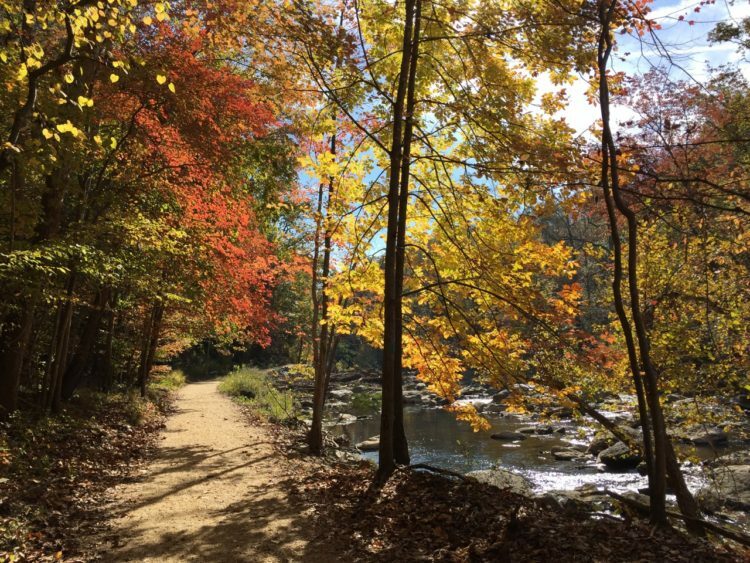 We’ve been visiting Lake Fairfax Park since we moved to the area, for hiking, for fun with our children when they were small, and to watch many soccer games and cross country meets as they grew. 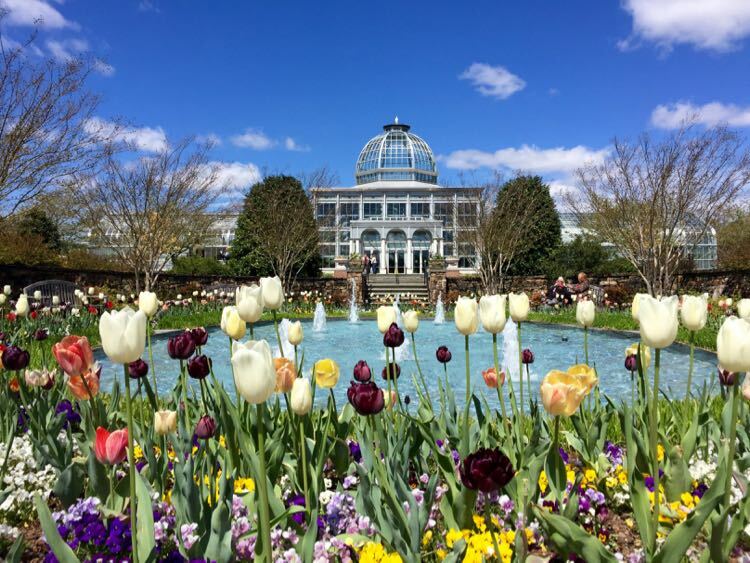 With so much to offer, the popular park has something for everyone.